Begun in 1962 by Cesar Chavez, Dolores Huerta, Gilbert Padilla, and other early organizers, the United Farm Workers of America is the nation’s first enduring and largest farm workers union. 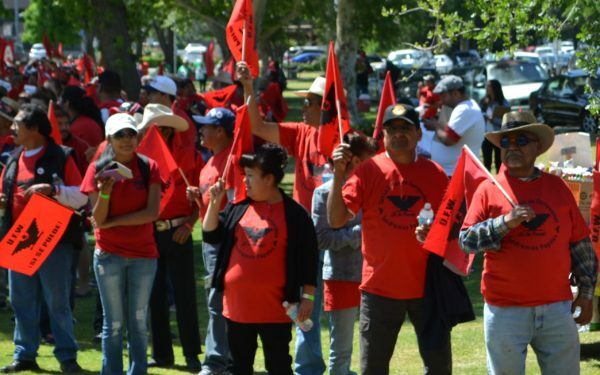 The UFW continues organizing in major agricultural sectors, chiefly in California. The UFW has dozens of union contracts protecting thousands of farm workers, among them agreements with the some of the largest berry, winery, tomato, dairy and mushroom companies in California and the nation. Many recent UFW-sponsored laws and regulations protect all farm workers in California, especially those at non-union ranches. They include the first state standards in the U.S. to prevent further deaths and illnesses from extreme heat and in 2016 the first law in the country providing farm workers in California with overtime pay after eight hours a day. The UFW continues to actively champion legislative and regulatory reforms for farm workers covering issues such as worker protections, pesticides and immigration reform. The UFW has been inspiring farm workers across the U.S. to organize, mobilizing allies in the struggle, and spreading the “¡Sí se puede!” (yes it can be done) message for over 50 years. In 1965, the mostly Filipino American members of another union went out on strike in the grape vineyards around Delano, CA. Cesar Chavez and the farm workers he had been organizing in the National Farm Workers Association joined the strike. This Delano Grape Strike grew to other growers and lasted 5 years. Throughout the struggle, the UFW remained dedicated to principles of nonviolence; Cesar Chavez fasted for 25 days in 1968 to demonstrate this commitment. In 1975, UFW won the passage of the Agricultural Labor Relations Act, a landmark agreement recognizing the right of farm workers in California to organize. Since those early decades, the UFW has continued to win important victories for farm workers in agricultural industries across the U.S. Learn more about the UFW’s beginnings. Read a comprehensive history of the UFW. NFWM and UFW share a long and rich history. NFWM began in 1920 as a ministry of charity and service through the National Council of Churches, providing food, clothing and day care to farm workers. When Cesar Chavez began organizing the UFW in the 1960s, he called on the religious community to change its emphasis from charity to justice. 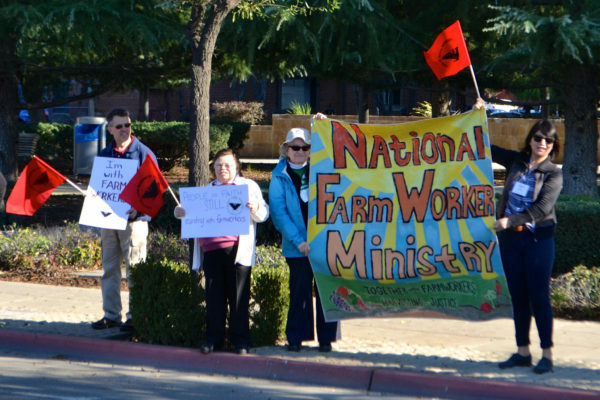 NFWM became the vehicle for people of faith to respond to that call and has continued in solidarity with the UFW throughout its history. 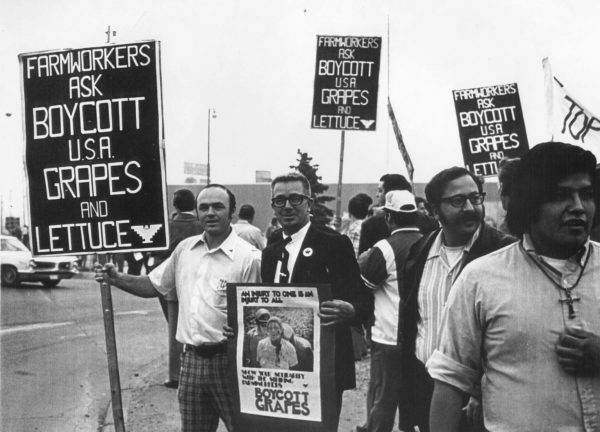 During the mid-1960s, the UFW and California Migrant Ministries partnered in support of farm worker justice through boycotts of major California table grape growers. 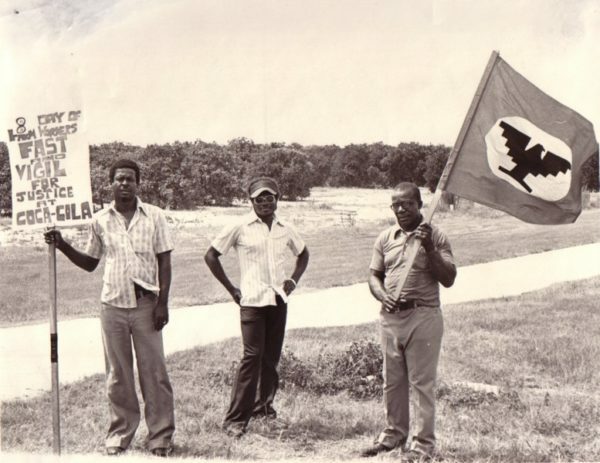 More state Migrant Ministries joined in and helped grow the grape boycott nationally into one of the major social movements of the 1960s and 70s. State Migrant Ministries along with denominational partners, under the umbrella of the National Council of Churches, came together in 1971 and incorporated as NFWM. After the victorious signing of union contracts by California grape growers in 1970, the UFW called on NFWM to support a national boycott of non‐union lettuce following major lettuce and vegetable strikes in the Salinas Valley. In the 1980s, led by the UFW through the “Grapes of Wrath” Campaign, NFWM educated thousands of people of faith about the dangers of pesticides for farm workers and their children. NFWM’s growing base of supporters mobilized for the second grape strike and further UFW organizing efforts throughout the succeeding decade. 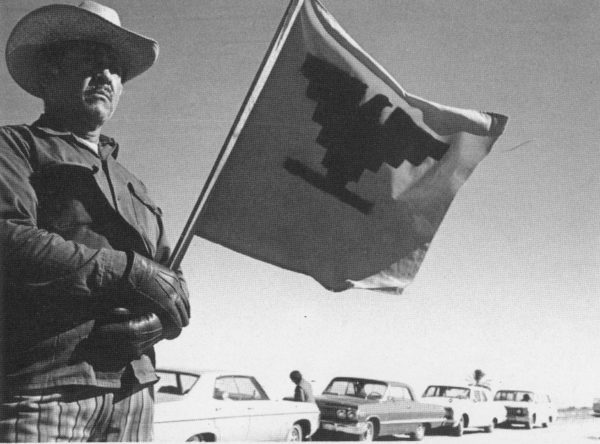 After Cesar Chavez’s death in 1993, NFWM remained untiring supporters of the UFW. From the 1990s through 2000s, NFWM educated and mobilized supporters around the U.S. for UFW campaigns with companies including Coastal Berry Co., Pictsweet Mushrooms, Gallo of Sonoma and Threemile Canyon Dairy. In 2005, NFWM supported the UFW-led effort to pass AgJobs (the first major immigration reform bill since the 1980s) and we continue following the UFW’s lead on immigration reform legislation. Since the early 2000s, NFWM has supported multiple UFW organizing campaigns including Giumarra, Darigold and Gerawan Farming and supporting significant California legislative victories such as the 2002 Mandatory Mediation law and the 2016 Over-time for Farmworkers law.